About ten years ago, compressed air for paintball guns emerged on the scene–generally reserved for serious tournament players, as the first compressed air tanks were very expensive compared to carbon dioxide, or CO2 tanks. By nature, a paintball marker requires a propellant to fully function. Traditionally, carbon dioxide was used to achieve these means. Fast-fowarding five years, compressed air was no longer for just the tournament player but actually the preference for avid players of every level. Compressed air for paintball markers was becoming more and more the norm with the affordability of their tanks, and thus the trend has continued–raising the question as to why anyone would use CO2 at all any more. Not only is compressed air infinitely safer to store and fill than carbon dioxide, but it also greatly improves the functionality of any paintball marker. Compressed air for paintball markers allow for operation at a much lower pressure which comes with many benefits for all aspects of the game. Not only does lower pressure mean safer, but it also helps to improve gameplay. First of all, lower-pressure delivers the maximum amount of consistency between shots–this ensures the velocity of the ball will remain constant, but also increases pressure efficiency. This means that using compressed air over CO2 will allow for many more shots in between tank fills. Using compressed air carries many other benefits as well. The accuracy of each individual shot–especially when firing quickly–is maintained much better with compressed air. A lower operating pressure, as stated before, also puts less stress on each individual paintball when it is impacted by the propellant. The result: fewer messy ball breaks that clog barrels and compromise accuracy the rest of the game. 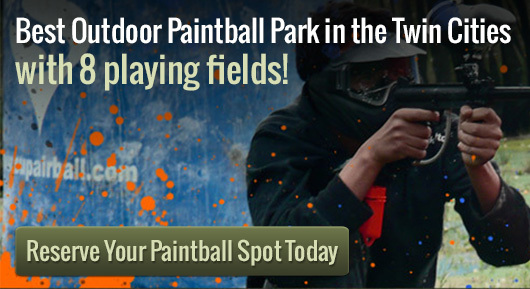 In today’s paintball world luxuries that used to be reserved for professionals are now affordable to any player. There is really no excuse for not using compressed air tanks nowadays–it is sure to further any paintball experience in many ways.